Written by renowned researchers in the field, this up-to-date treatise fills the gap for a high-level work discussing current materials and processes. 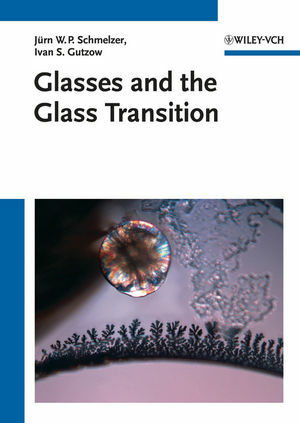 It covers all the steps involved, from vitrification, relaxation and viscosity, right up to the prediction of glass properties, paving the way for improved methods and applications. For solid state physicists and chemists, materials scientists, and those working in the ceramics industry. Prof. Ivan S. Gutzow, scientist with the Bulgarian Academy of Sciences, has served at research positions at various institutions, including the Universities of Jena and Rostock, Germany, and MIT and Case Western University, USA. His work, published in more than 240 papers, has earned him various awards, e.g. the 2002 International Alexander von Humboldt Research Price. His society affiliations include the German Union of Glass Technology (DGG), and the International Commission of Glass.